How can Cosatu remain relevant in the face of declining membership and a failing formal economy? 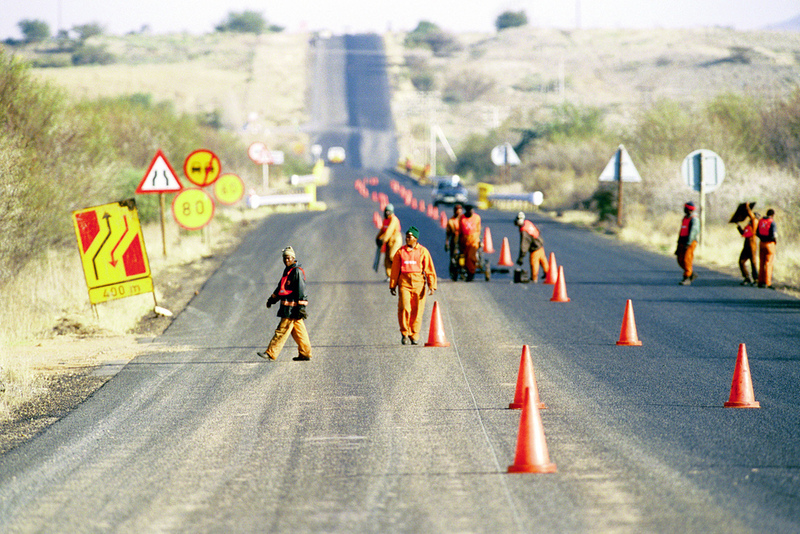 Roadworkers undertaking repairs in South Africa's Northern Cape. Image by Trevor Samson via Flickr. The 13th national congress of South African labor federation, Cosatu, has just ended in Midrand near Johannesburg. But it’s not a happy time for South Africa’s formerly triumphant labor movement. Led for the first time by a woman president, Zingiswa Losi, formerly a leader of the now expelled National Union of Metal Workers (Numsa), the once powerful and radical labor federation looks in pretty poor shape. Cosatu has never really recovered from the departure of Numsa and other unions, which left over relations with the ruling African National Congress and membership of its tripartite alliance. The union’s expulsion initially arose from its decision not to support the ANC in the general elections, which went against Cosatu’s constitution. It subsequently proposed the establishment of a new United Front to co-ordinate struggles in the workplace and in communities, playing a role similar to that of the 1980s United Democratic Front. The task of this front would be to fight for the implementation of the 1960s Freedom Charter and to be an organizational weapon against neoliberal policies, such as contained in the National Development Plan. Side by side with the establishment of the United Front would be an exploration of the establishment of a movement for socialism, as Numsa argued that the working class needed a political organization committed to a socialist South Africa. While this has yet to generate a new workers party or a new wave of working class mobilization it has had severe repercussions for Cosatu. The union federation faces financial difficulties, due to its declining membership and collapsing affiliates. The start of the congress was marred by protests by disgruntled South African Municipal Workers Union (Samwu) members, excluded for “not being in good standing” (due to outstanding affiliation fees). Citing longstanding “organizational challenges,” Cosatu formed a task team to intervene in the troubled Samwu, as well as in the South African Transport and Allied Workers Union (Satawu) and the Chemical, Energy, Paper, Printing, Wood and Allied Workers’ Union (Ceppwawu). In its organizational report to Congress, Cosatu leadership lamented serious membership losses: Satawu has lost over 100,000 members and Samwu about 30,000. To compound this crisis the federation has experienced a serious hemorrhage of industrial workers, becoming increasingly reliant on recruitment among white collar public sector workers. Admitting his responsibility for some of Cosatu’s troubles, outgoing president S’dumo Dlamini claimed that the greed of some leaders has “sucked blood” out of the federation. He admitted that since 2015 they had lost almost 320,000 members, a number significantly more than the total membership of their biggest affiliate, the National Education, Health and Allied Workers’ Union (Nehawu), which claims 275,000. Given notoriously unreliable union membership figures, the real losses could be even bigger. However, the real reasons for Cosatu’s decline are a bit more complicated. Cosatu has its origins in the struggle against Apartheid. With its roots in militant strikes in Durban in 1973, resurgent organized labor led an unprecedented wave of action against Apartheid employers between 1973 and 1985. A new federation, Fosatu, was formed in 1979 and later Cosatu in 1985. The federation became a major force in the 1980s and 1990s. In 1986 for instance, more than 1.5 million workers, joined by community structures, observed its call for an illegal stay away on May Day. It regularly contested social and economic policies under ANC governments. Cosatu was a powerful force in the post-1994 ruling tripartite alliance, mobilizing the movement’s big battalions for elections and acting for some time as an important countervailing force against rightward government policy shifts under Mandela, Mbeki and finally Jacob Zuma. But much of its leadership had begun to view the federation as a mere conveyor belt to positions in government. It’s ambivalence over the massacre of striking miners at Marikana in August 2012, the most lethal use of force by South African security forces against civilians since 1960, and the vote in 2016 by its central executive committee to expel 340,000 members Numsa (Cosatu’s most militant affiliate), marked new low points. Conditions for organized labor are now particularly difficult given the rapid economic decline. The ANC government intends to introduce legislation that will make “legal” strikes a lot more difficult to organize and the labor movement remains deeply divided. 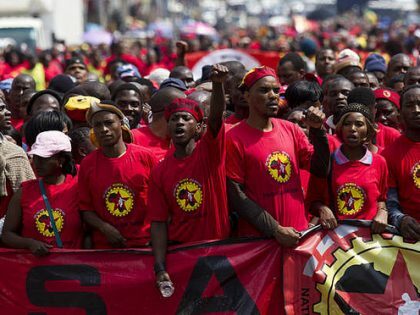 Despite organizing a worker summit that aimed to rejuvenate the movement, and the United Front as the basis for a new working class movement, unions grouped around the more radical, independent Numsa faction, reorganized as the South African Federation of Trade unions (SAFTU), have also found the going quite tough given near recessionary conditions and significant job losses in the manufacturing sector where Numsa mainly organizes. While Cosatu’s founders saw organized labor, based in the workplace, as the foundation for a new progressive social system, South Africa is today characterized by growing numbers of informal dwellers in cities with struggling economies. Levels of unionization have fallen, and the role of organized labor has declined. Work is now often outsourced and casualized. Many unions have become more like staff associations with managers and workers in one structure. The informal sector has grown in South Africa and this has led to the sub-division of existing jobs rather than job creation. Formal jobs and organized workers are in decline and the active proletarianization of informal workers and slum-dwellers once foreseen by the left, is not happening. Instead, there has been a wide range of other responses to declining living standards. These include the growth of charismatic churches (ironically, often in buildings that once housed productive industry); a resurgence of traditionalism and superstition; the growth of criminal street gangs; and xenophobic movements blaming foreigners for the country’s troubles. In the light of all this, organized labor faces some tough questions. Is it responding adequately to the changing shape of the working class? Can it build new alliances between unions, communities, casualized workers, youth, women, foreign workers and the unemployed? And what new forms of solidarity are possible in a changing global context? Such questions are difficult to answer except through new forms of organization and political work on the ground. 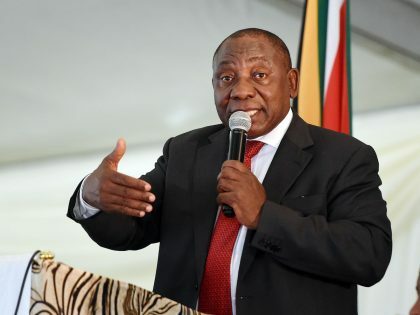 But, firmly situated, as it is, in the camp of conservative and pro-business President Cyril Ramaphosa, it seems unlikely that the creaking remnants of old Cosatu will have much of a role. Brazil is a good context to help us to understand the limits of the possible in South Africa. Is South African trade unionism at a turning point?